SGTech Europe 2019, the Smart Grid Innovation Project Exchange, takes place 26–28 March 2019 in Amsterdam, The Netherlands. Opening with a morning of strategic plenary sessions, power grid digitisation leaders discuss the big trends impacting the evolution of the smart grid. Senior representatives from National Grid, Enedis, Orsted, Stedin, Vattenfall and EDP among others, reveal how they are making technology choices in light of new trends in the areas of IoT, AI, and Blockchain, to become fully data driven organisations. 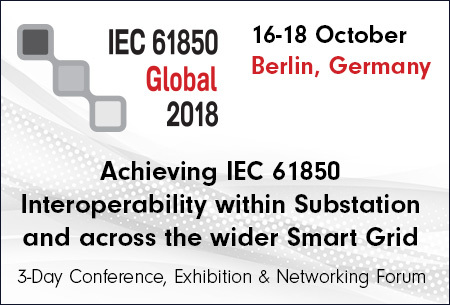 The programme then breaks into 3 parallel technical tracks focused on the latest innovations and implementations of digital substations, SCADA systems, and utility telecoms. Day three deep-dives into the cyber-security opportunities and challenges facing smart grid IT and OT colleagues. Events Cybersecurity: what are the adequate boundaries for protection? Events FITNESS Pilot: Are You Fit For The Future?